There was a good turnout for the tree planting day. 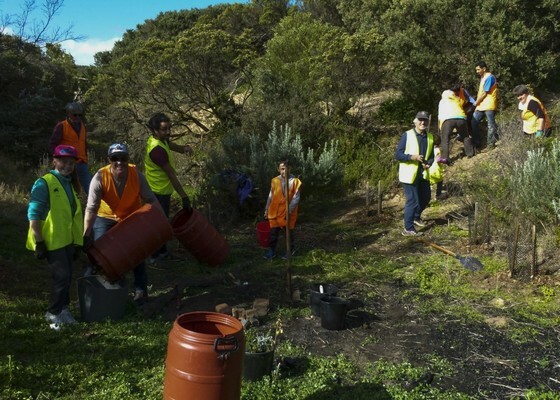 A record 44 people turned up on Sunday 30 July for Ocean Grove Coastcare’s National Tree Day of Planting, to help fulfil part of its grant from Corangamite Catchment Management Authority. 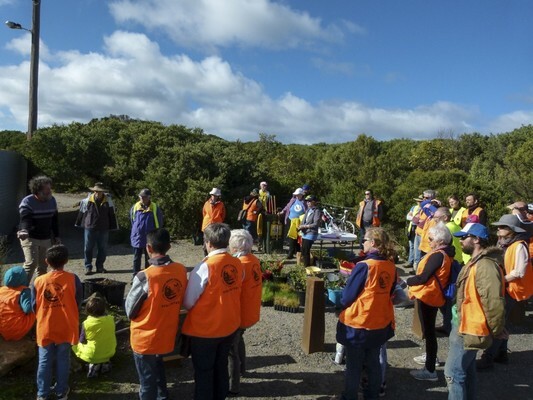 On a sunny day, after a welcome and a briefing from Coastcare and Barwon Coast, 251 trees were planted of the following species: moonah, coast pomaderris, coast beard heath, white correa, dune thistle, cushion bush, flax lily and karkalla. Ocean Grove Barwon Heads Rotary supplied a delicious barbecue, and it was a great community effort to revegetate and enhance the dunes.